What to Do After First Aid? Wound Infection Treatment without A Doctor! At least once in our lifetime, we all slip and fall or something like that happens and we end up injuring ourselves. An injury to the body is generally called a wound and they break the skin and harm body tissues. So it would be helpful to go with wound infection treatment that can be done either in our homes or elsewhere. The skin protects our interiors from outside world and factors like, temperature increase and decrease (like an insulator), micro-organisms and chemicals, which is quite amazing. The skin regulates our body temperature from external environment. We all know that sweating is a process by which our body cools itself. With an extensive network of nerve cells that help in detection of changes in the environment, our skin have separate receiving agents for heat, cold, touch and pain. When severely wound, these nerve cells stop functioning which makes us lose sensation in the affected areas. Therefore when we wound ourselves, all the functions of the skin may get hampered. A nail or a piece of glass that injures our skin causing a deep cut. 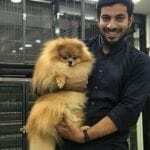 A dog or other animal bites us causing pain and wound. If not bitten, sometimes even the claws can come in direct contact of our skin and cause a minor wound. A slip here and there with a little bleeding. Kids have a tendency to ignore minor wounds caused while at play, which is not surprising as they do not want to invite the ire of their parents that may also put an end to their sports activity. Without proper scientific wound infection treatment, it can be risky as the wound and the whole area is likely to become more infected if not addressed immediately. Wound infections are a big headache as they drain your pockets by increasing the cost of the care, and consumption of antibiotics. A wound should not be allowed to worsen due to infections as it can prolong the wound healing in some case and invite more diseases in some cases. After an injury, the body comes out with a natural response or in other words, the emergency response and this initial phase is called the inflammatory phase. This may last for a couple of days. This is the time we must take the wound infection treatment otherwise it may damage all the cells in the region. And this phase deals to prevent further loss of blood. Immediately after a wound, the blood vessels in the wound bed shrink forming a clot. After the bleeding has stopped, the blood vessels widen to allow antibodies, white blood cells, enzymes and nutrients to reach the wounded area. Signs of inflammation include swelling, heat and pain. In the next phase, the surfaces of the wound is rebuilt with new connective tissue and microscopic blood vessels, called as granulation tissue. It generally grows from the wound of the base and can fill wounds of most sizes. There are different treatments for different types of wounds as not all wounds are major and not all minor. Some are caused by burns and some occur due to cuts. Let us look at some of the wound infection treatment that is generally followed throughout the world. 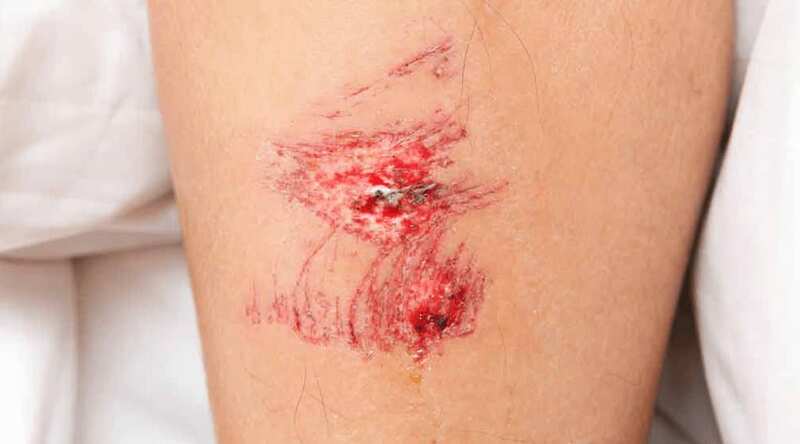 It is a must to clean the wound gently with soap or a good mild antiseptic solution as it removes all types of dirt that could further be a cause for more problems. This should be done as soon as possible as it helps in early removal of microorganism that might be in the wound. Wound cleansing aims to remove foreign bodies and useless matter (for eg: dead skin) and contaminating bacteria. This enables that the remaining uninjured tissue is safe from any spread of bacteria and its growth. Wound infection can become severe if there is an unfortunate contamination with wood, dust or clay. It is always suggested for a prompt cleansing and irrigation of traumatic wounds with saline or tap water. Cleansing is one of the simplest treatment for infection that comes to one’s mind immediately. A popular way when it comes to wound infection treatment, Oral antibiotics can be used for bacterial skin infections. The properties of the antibiotics help in wound healing as they drive away the bacteria and break the bacterial cell. Antibiotics agents like mupirocin, foban etc have fewer mechanisms and the antimicrobial activity is not as effective as antiseptics. Antiseptics help a great deal in treating wound infections and no wonder, popularly used for wound infection treatment. Antiseptics choke all the functions of bacteria. It is said that topical antiseptics have more advantages than antibiotics. Antimicrobial medication and products play an important role in treating wound infections. Topical antiseptics agents tend to have multiple more than one mechanisms of action and for most of the times do not cause any allergy. Some examples of antiseptics include hydrogen peroxide, acetic acid and the very popular Dettol. It has been observed that bacteria has not yet shown any resistance to some of the antiseptics, which is a good news. A good bandage will seal the wound and protect it from external factors that could prolong the wound. The bandage will help in getting the wound healed quickly. Keep the wounds away from infections from external factors that may come in from exposure. The longer the duration of exposure, the more problems it can create. To contain the bleeding because loss of blood could be dangerous thing and make the injured person weak. To provide additional support and protection. Bandages are applied on areas that need care and unlike the unwounded areas, it of course needs more protection. If a scalp is the affected area, then a kerchief in the head should be tied. Once the wound has been cleaned, and the bleeding stopped, fold a big and clean cloth forming a triangle. Now place it on the injured person’s head and fold it gently, placing the two ends of the cloth above the ears and tie the ends together. Clean and dress the wound gently. Bend the knee and stop at the point it starts causing pain. Now place the middle of the cloth at the underside of the joint of the knee. Now wrap the cloth, with opposite ends crossing, over the knee and leg, at the place of the wound. Tying the ends into a knot, protect the bandage with the help of adhesive tape or safety pins. Note: A bandage should not be tied too tightly, as it may cause the circulation of the blood to stop. Honey is considered as one of the oldest therapies that helps in healing wounds. 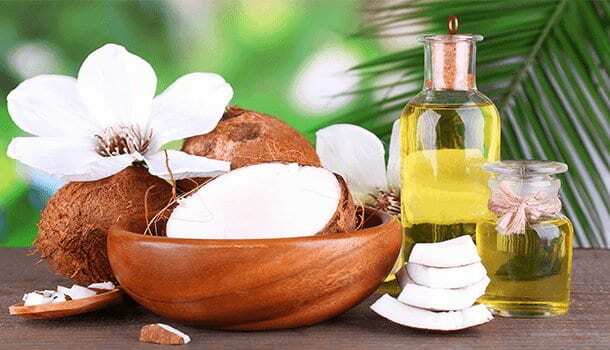 The reason for it being used worldwide is due to its helpful properties. It keeps the wound free from any contamination. It also has some medicinal features like amino acids, vitamins and minerals that help in recovery of wounds and growth of tissues. Honey also acts like an agent that does not help certain microorganisms to grow and therefore kills them. Honey is a great way to quicken up the recovery process during the wound infection treatment. It speeds up the wound healing process with the immense anti-inflammatory properties it has. It is claimed that honey is better than antibiotics. Hydrogen peroxide is produced when honey gets diluted with the blood and tissues of the wound as there is a reaction of glucose oxidase enzyme. It helps in keeping the tissue healthy and free from damage. It is to be noted honey has so many helpful properties and can be used to treat wounds only when it is raw and not the cooked ones. There are many specialities of garlic apart from enhancing the taste of the food. Garlic has anti-bacterial and anti-fungal features in it and can help heal most of the wounds. 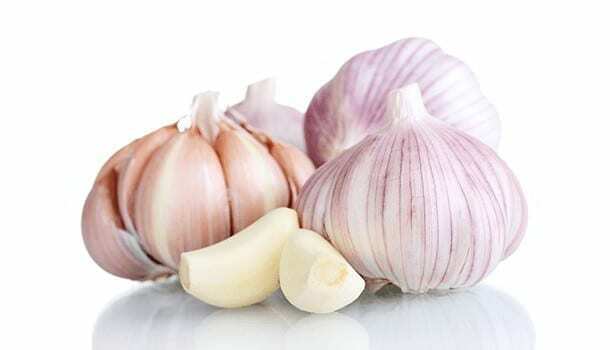 The only thing to make a note of is, that garlic should not be used for a longer duration as it said that it may cause damage to skin when exposed for a longer time. To use garlic to treat minor wounds. If it is a case of bleeding, clean the wound with water and use few crushed garlic cloves on it. It helps in stopping the pain and bleeding immediately. There is a kind of romantic relationship in between turmeric and wounds in the Asian countries. 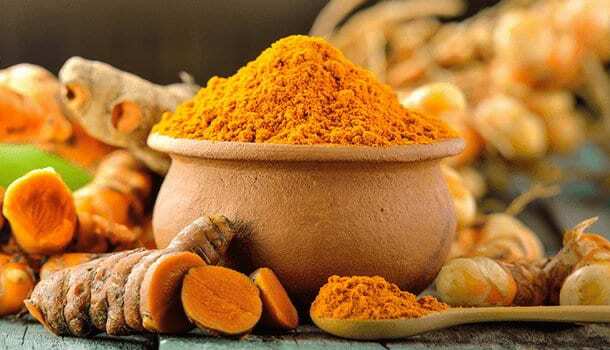 Whenever there’s a wound on any child’s knee or any other person for that matter, people subconsciously get into kitchen to grab turmeric powder and apply. It is such a spontaneous medicine for externally infectious problems like wounds. Wound infection treatment is incomplete in Indian families without the usage of turmeric. The natural antiseptic and antibiotic agent as well, turmeric treat minor wounds at home and also helps in preventing infection. Turmeric can be spread on the wound to stop immediate bleeding. To use turmeric, first clean the wound with a soap or a mild solution. Once done, clean the wounded area with a dry cloth to make the wound clean. Now turmeric can be applied in a gentle manner. After few hours, wash it away from tap water gently and apply some more again. 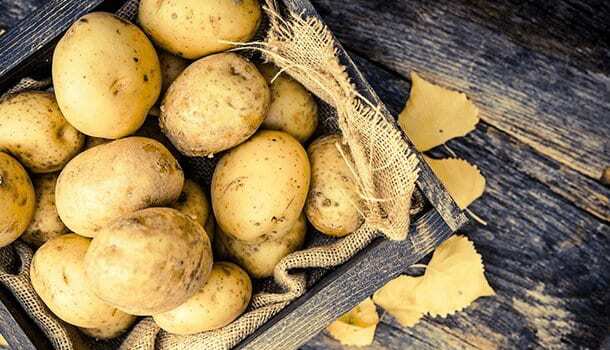 An unlikely candidate when it comes to healing wounds, it is said that potatoes pull out infections from any kind of wounds. To use it, place a few slices of raw potatoes, over the wounded area and tape it, leaving it overnight. It helps draw out the pus in a day or two, depending on the infection. 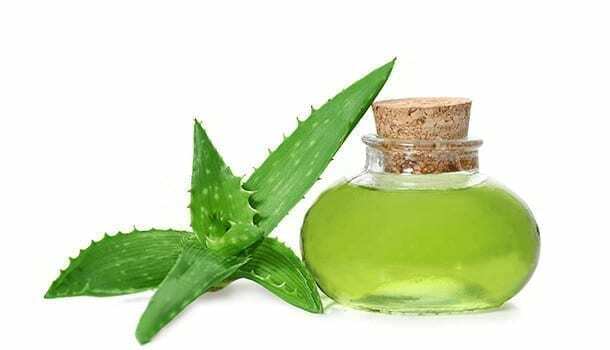 It is well know that Aloe Vera helps in healing of minor burns. Aloe Vera is also good to treat cuts and scrapes. The gel inside aloe leaves, has been used for thousands of year to treat wounds, burns and similar skin conditions. This makes aloe vera similar to an antibiotic and disinfectant. 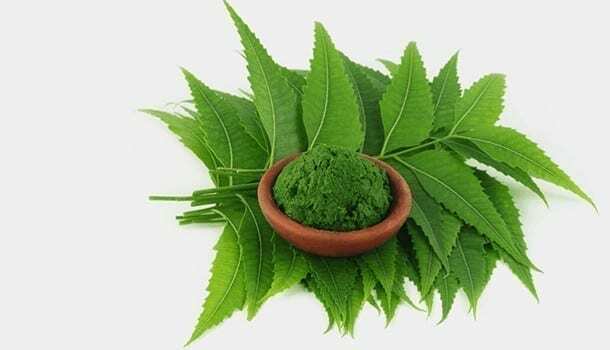 Form a paste with 1 tablespoon of neem leaves juice and 1 tablespoon off turmeric powder and use on the wound leaving it for some hours after which it should be rinsed of with warm water. Apply again and repeat the same. To be clear, proper wound infection treatment is available from nowhere but these kind of natural ingredients. It is an outright open thing that no other medicine can work better than a tree/organic healer, especially in wound healing. Apply coconut oil on the wounded area. Get it bandaged to seal in the moisture. Apply the coconut oil and do the bandage change two times a day. Repeat this method for many days until the wound has healed completely. Antibiotics like cephalexin, a semisynthetic cephalosporin antibiotic is used for wound treatment of infections owed to bacteria. Ear infection and skin infections are some examples of such infections. When the healing process gets interrupted due to internal or external factors like moisture, infection, age, type of nutrition it only aggravates the trouble. The process of wound healing should be supported by proper nutrition. At the time of healing, it is important to take in extra calories that should come more from the protein. Without proper food and nutrition, the wound condition may not heal up quickly. So we can conclude that it is extremely tough to avoid injuries intentionally or unintentionally but practical steps can always be taken to reduce the severity of the wound infections that may come with those injuries. Knowing a thing or two about the steps in wound infection treatment, properly, comes handy.